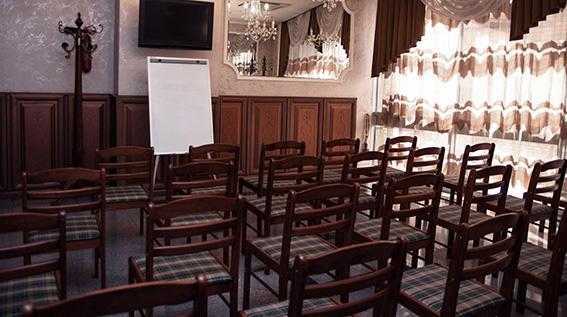 From 10.00 to 22.00 the Sobornyi hotel also provides conference services. Hall with a capacity of 25 people is perfect for business events, conferences, seminars and trainings. The 30 m² room is equipped with plasma, a flip chart and the wireless Internet. Coffee break will fit perfectly in the event overall atmosphere, as well as lunches and dinners will meet tastes and wishes. The hall rental – 200 UAH per hour. Coffee break – from 30 UAH. / person. Lunch, dinner – from 70 UAH/ person. The participants receive a 15% discount on accommodation.